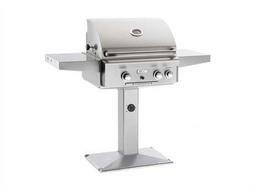 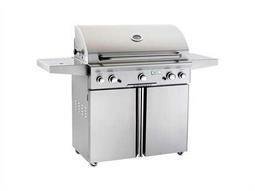 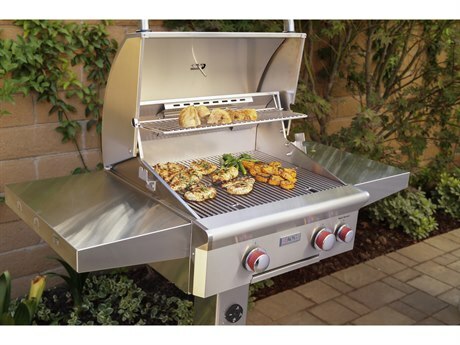 Sleek, stylish, and durable grills are the pride of American Outdoor Grills. 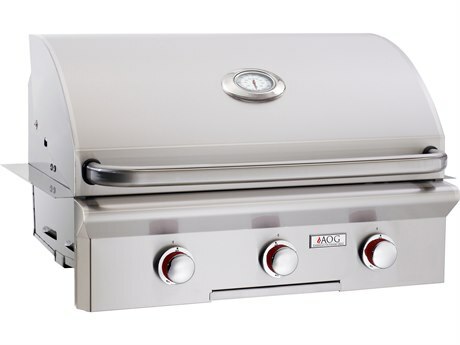 Featuring contemporary designs and premium performance, AOG Grills are manufactured by the RH Peterson Company in Industry, California. 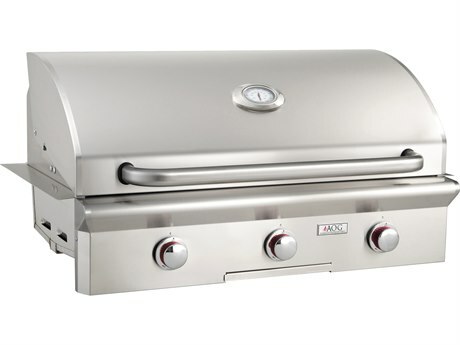 A premier producer of gas products since 1949, RH Peterson Company has earned a reputation for consistently capitalizing on emerging technologies and design trends to engineer high-quality products, making for easy and enjoyable grilling. 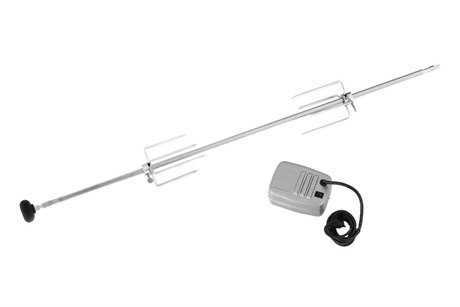 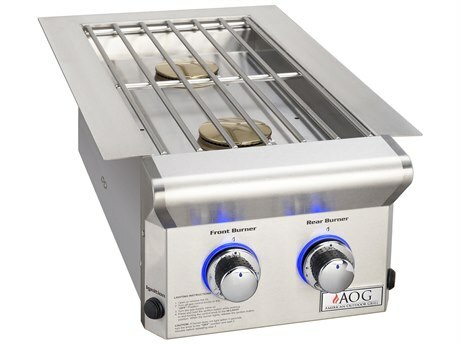 AOG Grills line of products includes several grill types, with varied comprehensive functionalities suited for all types of cooking, making it easy to switch from searing, to rotisserie cooking, to warming food with ease. 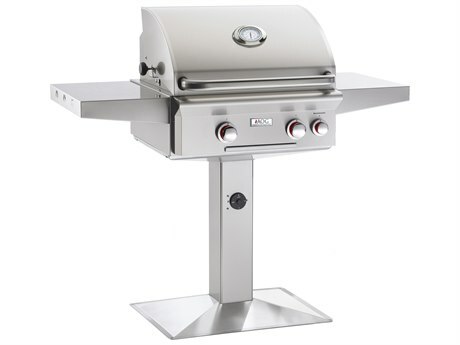 AOG Grills offers both portable and built-in grills, with grill surfaces that range from 24" to 36", meaning there is an AOG perfect for nearly every outdoor setting and patio space. 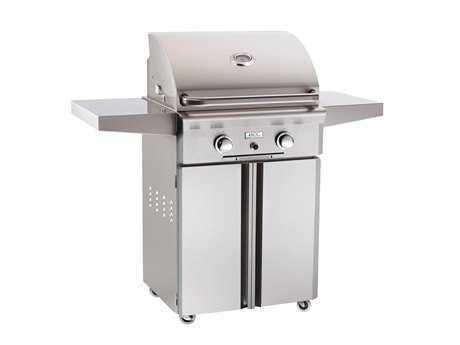 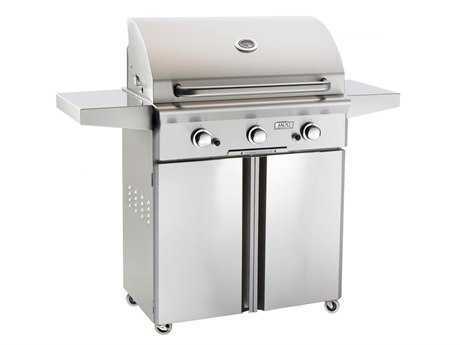 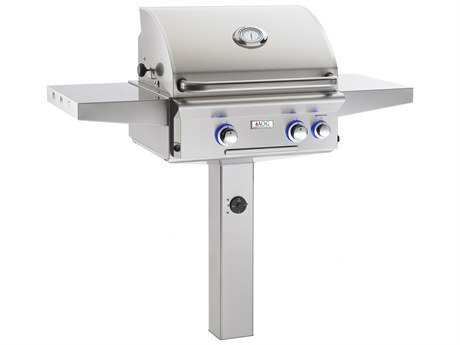 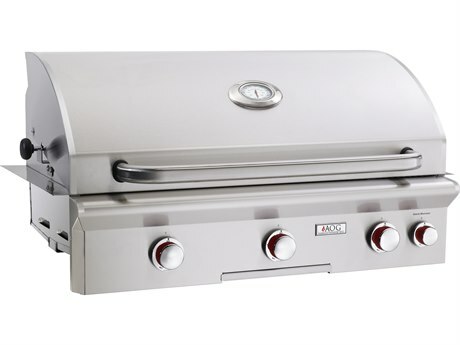 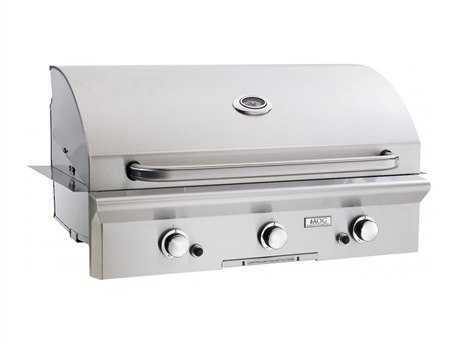 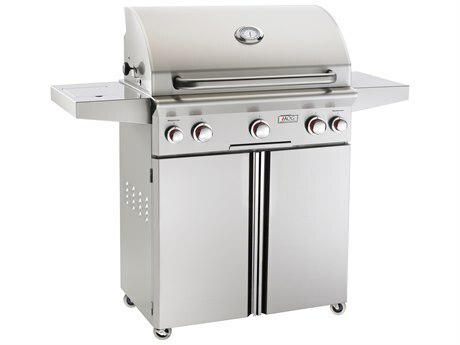 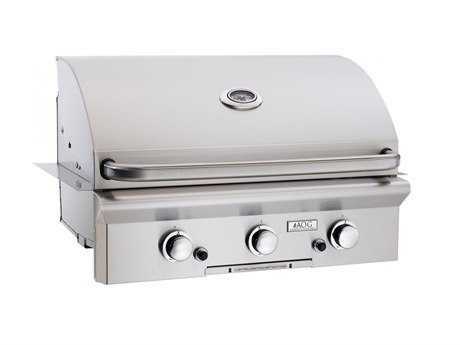 AOG Grills are crafted from durable commercial-grade stainless steel, and select grill models feature rod cooking grids, recessed back burners, and spit rods with motors, making for some of the most versatile grills available in the contemporary market. For precise and effortless cooking, many models feature electronic push start button ignition, easy-turn knob controls, analog thermometer, and stainless steel vaporizer panels for even heat distribution. 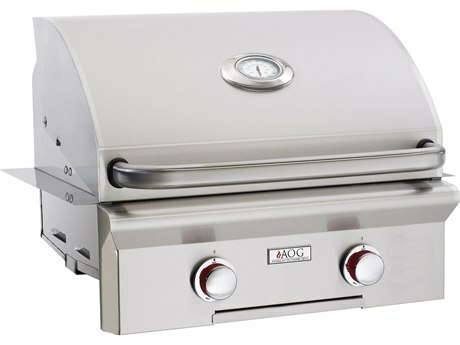 The numerous features of AOG brand grills make it easy for everyone to achieve premier cooking results with safety and ease. Types of grills available include built-in grills, portable grills, post grills, as well as accessories that contribute added versatility and cooking capabilities. 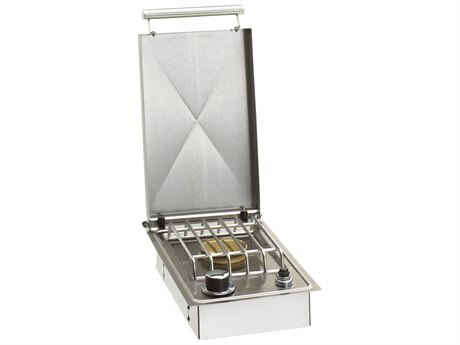 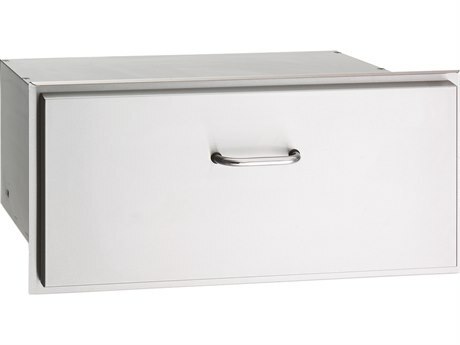 Available accessories include covers, rotisserie kits, and side burners. 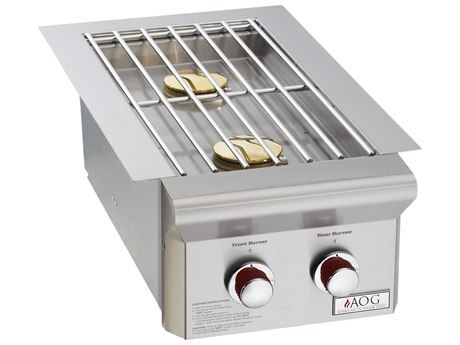 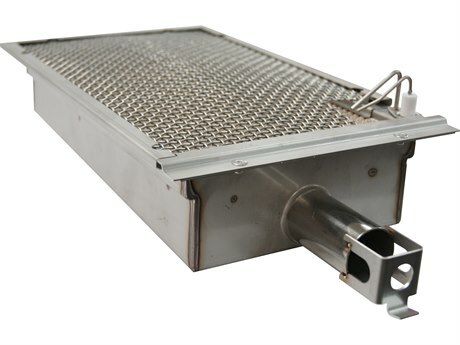 Select AOG Grill models can incorporate wood chips or charcoal to achieve a traditional smoky taste and aroma, and feature solid brass valves for exact temperature control. 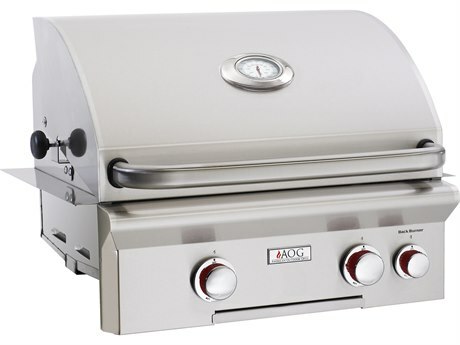 Most AOG grills are insured under a limited 15 year burner warranty, protecting your investment and ensuring years of outdoor grilling and enjoyment. 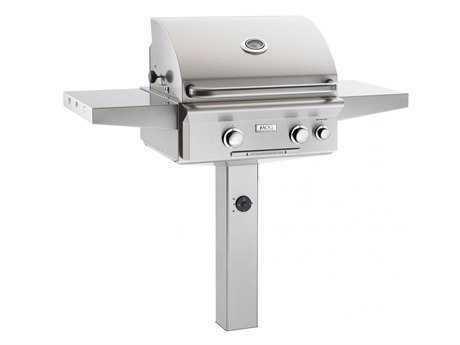 AOG brand grills contribute to a modern, sleek aesthetic in any outdoor patio or deck setting. 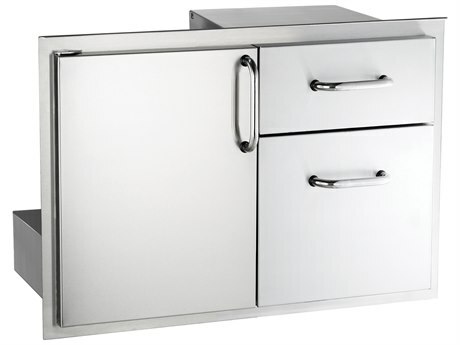 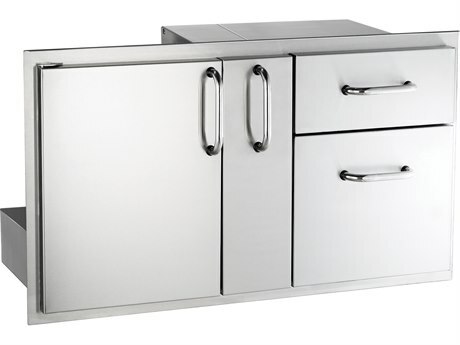 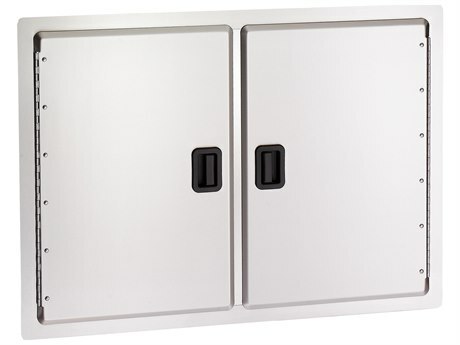 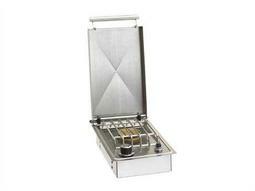 Available options include on-cart portable grills, which include wheels for optimum mobility and lower storage cabinets. 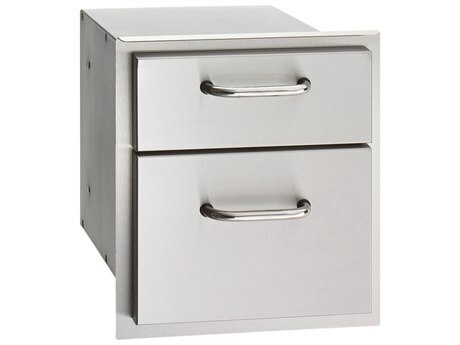 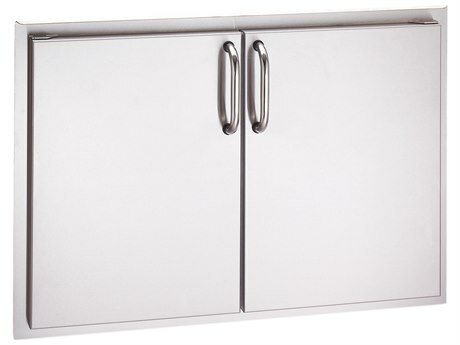 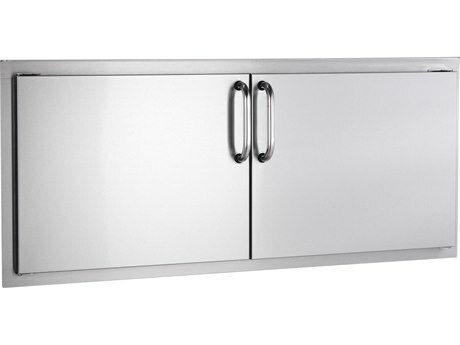 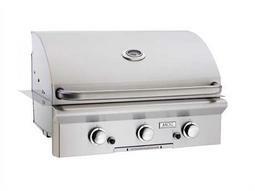 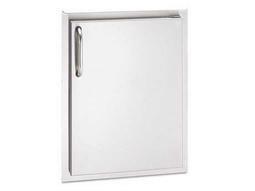 Post grills emulate the look of classic iron grills and can function well in compact settings. 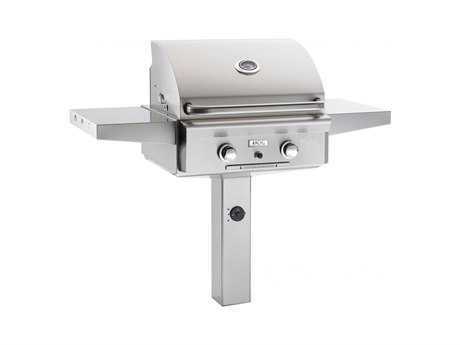 Built-in grill models are designed for incorporating into any outdoor kitchen for a streamlined and fully-functional space. 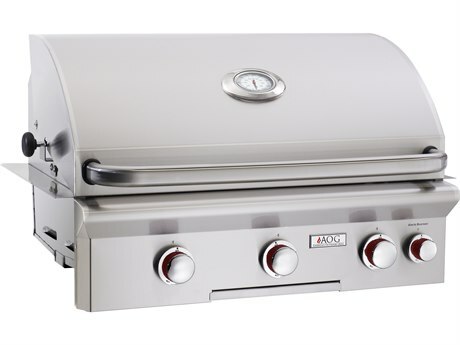 AOG brand grills feature minimal styling and stainless-steel construction throughout, making these grills complimentary to any modern outdoor aesthetic. 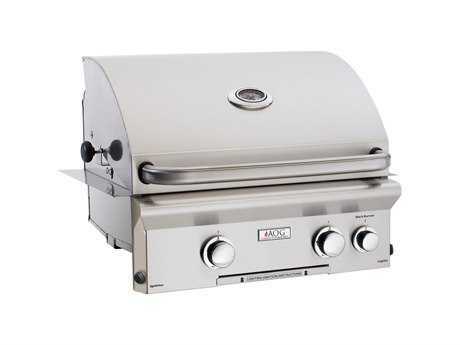 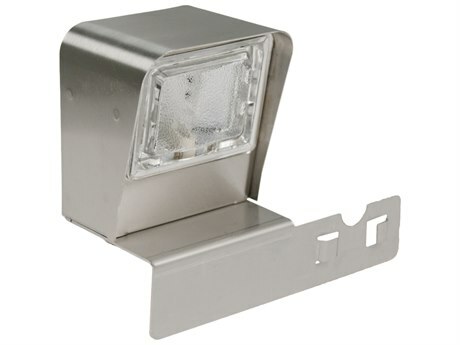 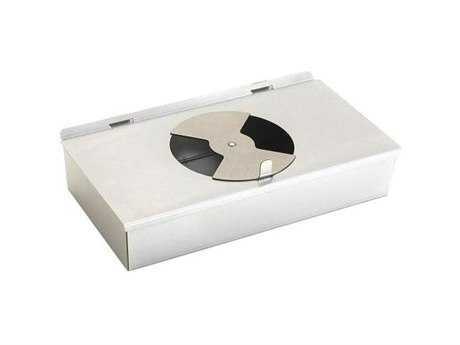 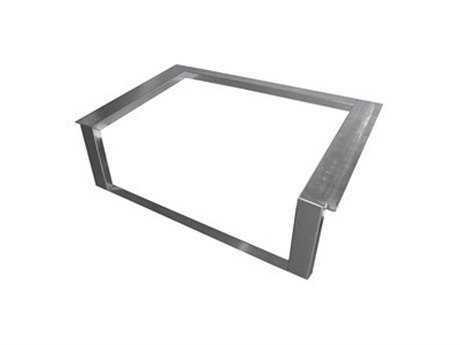 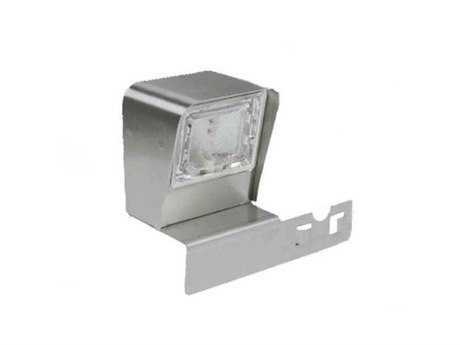 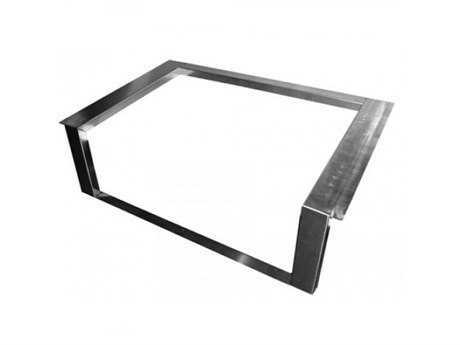 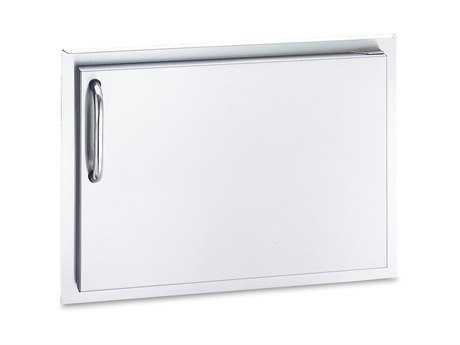 Durable, long-lasting, and easy-to-use, an AOG Grill will function beautifully in any residential or commercial setting. 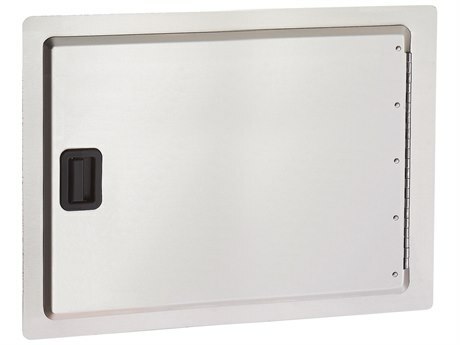 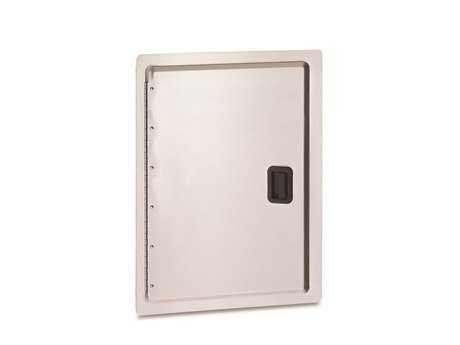 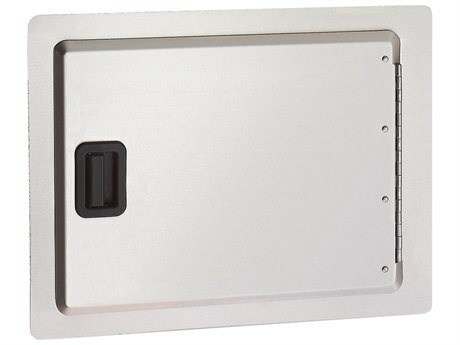 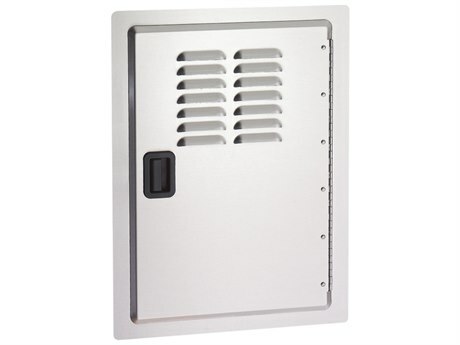 These grills feature stainless steel material construction, making them resilient to the damaging effects of wind and snow as well as easy-to-clean. 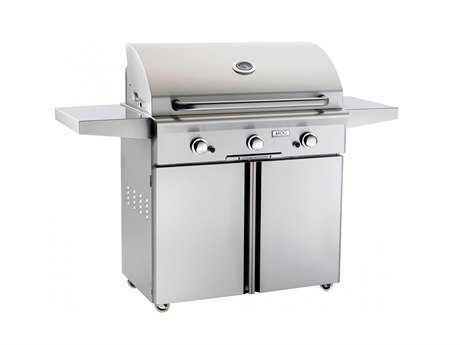 Many AOG brand grills arrive fully assembled, taking the guesswork out of setup and making these grills ready for immediate installation and enjoyment upon delivery.